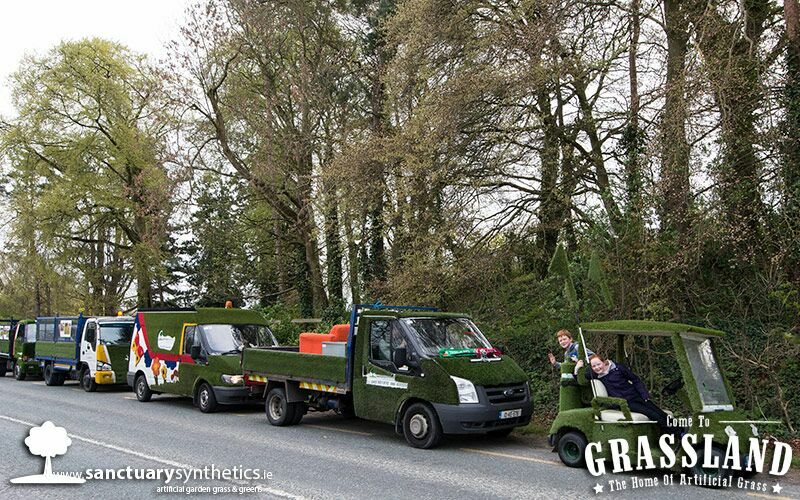 Long gone are the days when artificial grass was only used for astro pitches around the country. 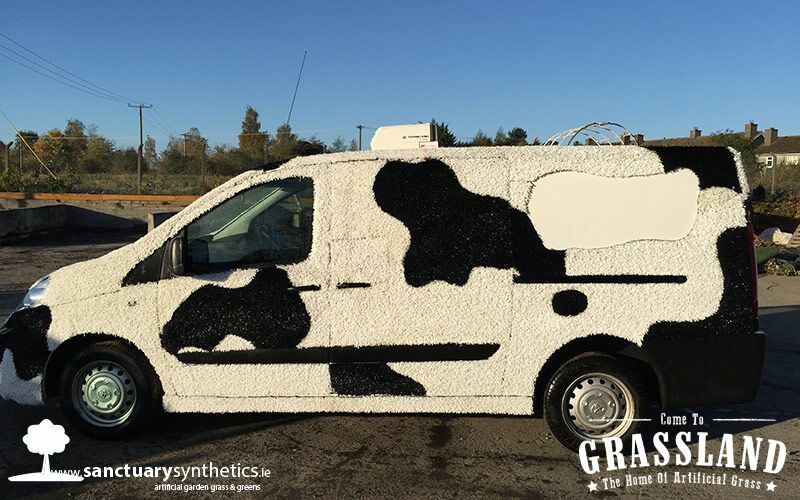 but we here in Sanctuary Synthetics won’t let our mission of artificial grass drop there. 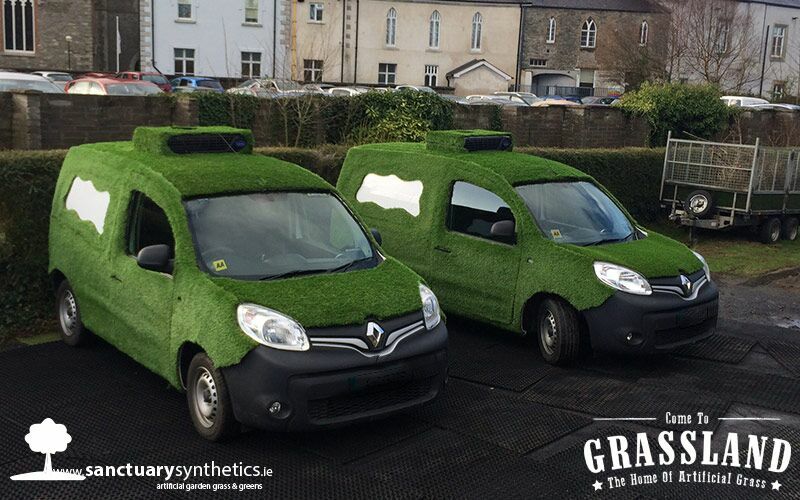 We love making all sorts of thing unique and personalised for the client so then the idea was born why don’t we start putting artificial grass on or vehicles to make them stand out from the crowd and so this idea took shape and we now install grass on to client vehicles all the time. 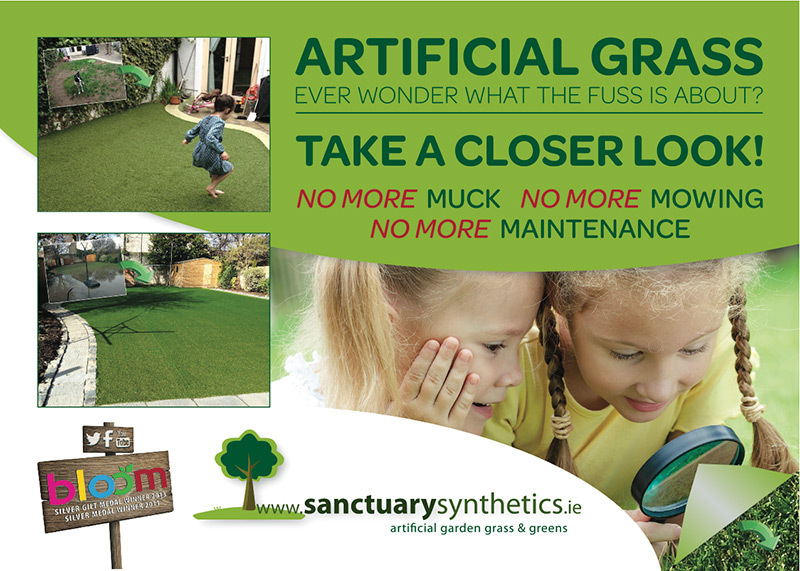 We joke here in Sanctuary HQ if you stay still for long enough you will be covered in artificial grass aswel! 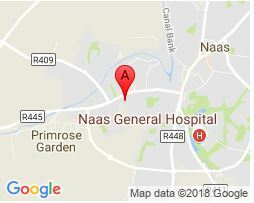 well for their company as their main focus is and product is geared towards healthy eating and natural products ……… well our artificial grass is far from natural, but you get the point. talking point among the visitors to this restaurant. had something laying around your house that needed sponsoring up we are your man!! 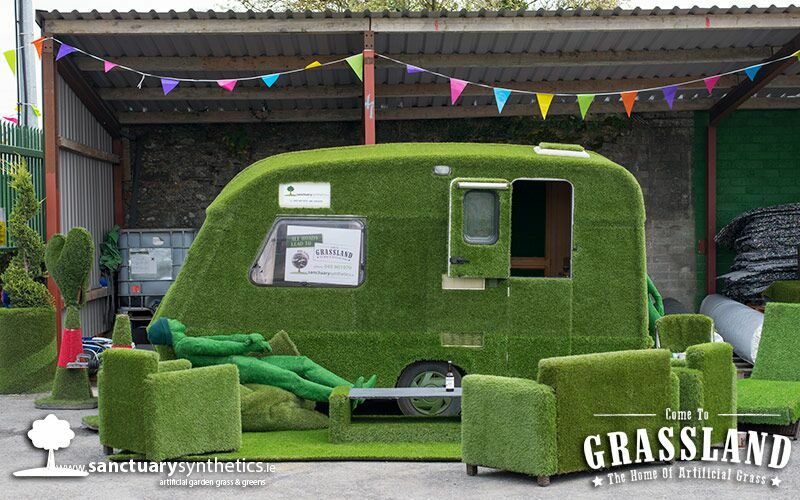 Come and visit our show room just too see how we have transformed the place in to an artificial grass haven. You never know if you stay here long enough you too might be covered in artificial grass.